Wondering how the health needs, particularly of women and children, were catered for in the fledgling Colony of South Australia, I did a spot of researching. On a hot summers day, 28 Dec 1836, Captain John Hindmarsh, RN, the Governor, and the official party arrived at Holdfast Bay in Gulf St Vincent, in the old naval transport HMS Buffalo, to proclaim the Province of South Australia. The Emigration Agent was responsible for migrants’ welfare including providing rations and shelter if they were destitute or sick. As more and more began arriving who were elderly, poor or chronically ill it became a problem, as there was no infrastructure to support them. The Colonial Surgeon, Dr Thomas Young Cotter, arr ived on 12 Jan 1837. His appointment was the only evidence of any planning for medical services in the colony. His task was huge and it was only through his efforts that the Colonial Infirmary was established. In approaching the authorities, Dr Cotter described how three of his newly acquired patients were camped under an old sail, with no protection from the weather and no food or attention. Their surroundings were filthy and they depended on the charity of passers-by. Whilst the authorities were not unsympathetic their resources, both physical and financial, were limited and all they could provide was a rented hut on, or adjacent, to North Terrace, close to where Holy Trinity Church now stands. This interim arrangment ended 4 months later with the purchase of a “small thatched cottage” which was also on North Terrace, towards its Western End. Not only was this modest expenditure criticised as extravagant, but Dr Cotter complained it was also uninhablitable. Public criticism, in The Register newspaper, led to the appointment of a Board of Management and the old Infirmary hut was abandoned. In Dec 1839 it was moved to a building in Immigration Square, in the West Parklands close to where Adelaide High School now stands, and remained there until 1841 when the first Adelaide Hospital was ready for occupation. The site chose for the hospital was in the parklands to the north of Botanic Road, near Hackney Road. 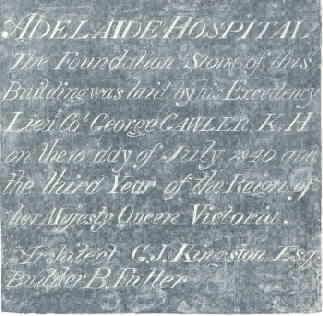 On 15 July 1840 Lieuteant-Colonel George Gawler, Governor of South Australia, laid the foundation-stone of the first building to be called the Adelaide Hospital. The stone bears the date, 10 July 1840, as the Governor changed the day at the last moment. 15 July 1840 has been regarded as the hospital’s Foundation Day, although the first patients were not admitted until Jan, or possibly Feb 1841. The motto on the Coat of Arms bears the words “Servire ac Docere” which describes succinctly the main functions of the institution; to succor the sick and to act as a place of instruction for nurses, medical students and others. When completed the building provided accommodation for thirty patients in three wards, two rooms for staff and a central room which served as resquired; as front hall, dining room, boardroom and operating theatre. When this first Adelaide Hospital was opened, the authorities hoped that it would meet the needs of the community for many years, but by 1850 the growing population was already making it inadequate and so a site was chosen for a new hospital, at the front end of the extensive area which the Royal Adelaide Hospital occupies today. The Victorian Gold rush of 1851, along with the huge exodus of males seeking their fortune, seriously affected the South Australian economy and the building of a second hospital delayed. Finally the central block and the west wing were completed in Sep 1856. The west wing contained eight wards, four on each floor, and the central block, a surgery, a dispensary and quarters for the house surgeon. The east wing was built in 1866-67 and provided for extra wards, two on each floor, some bedrooms, some padded rooms, and a nurses dining room, which also did duty as a chapel. Addition continued over the years to cater for the needs of the growing Colony as well as advances in medicine, such as anaesthesia, discovery of X-rays etc. Despite these improved facilities, there were still sectors facing serious health problems. Ten years later, in 1876, the newly formed Health Board investigated the horrendously poor quality of life and premature death of the destitute and poor children of South Australia. Their findings led to the establishment of the Adelaide Children’s Hospital. 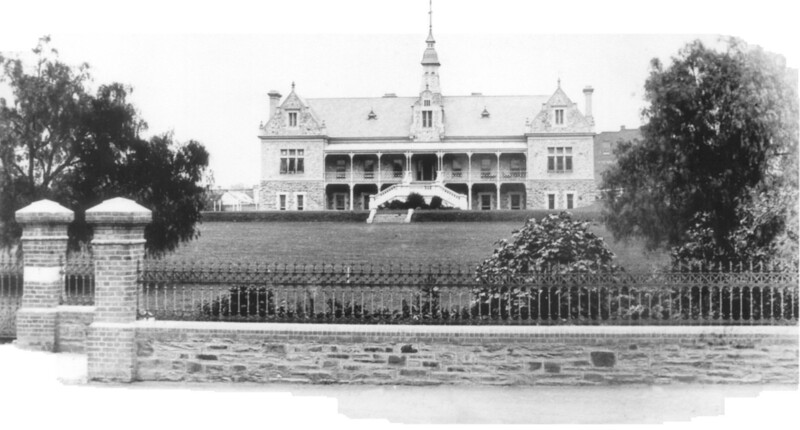 The board determined that a hospital for children was desperately needed, land was secured in North Adelaide (the current site of the WCH) and the foundation stone was laid on 20 June 1878. The day the Hospital was declared open by Lady Jervois, wife of the Governor of SA and hospital patroness, the first in-patient was admitted and in less than two months 36 patients had been admitted. By the end of the first year, the “little charity hospital for the poor” had five nurses and 168 admissions, which did not include children under the age of two as, at this stage, they were not accepted for admission. By 1893 the hospital had appointed South Australia’s first female medical school graduate, Dr Laara Fowler, and four years later the first laboratory was built heralding in the beginnings of the hospital’s strong participation into paediatric research and development. 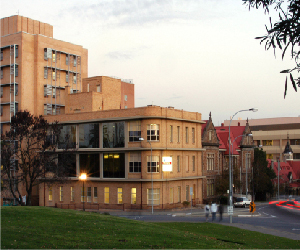 Research began in earnest in 1964 with one floor of the Rieger Building being occupied by the University of Adelaide Department of Paediatrics. The atmosphere of the hospital changed enormously during the second half of the century as parents were permitted to become more closely involved with the care, and comfort, of their hospitalised children. In Nov 1900 Lady Tennyson, wife of the Governor, decided there was a need for a Lying-in Hospital for respectable women. She organised a committee, which met in Government House on 6 December, to consider founding a maternity hospital for married women of the poorer class providing they were “worthy”. Dr Allan Campbell, of the Children’s Hospital, had wished for a maternity home to be established and, after his death in 1898, two of his colleagues, Chief Justice Sir Samuel Way and the Hon. J.H. 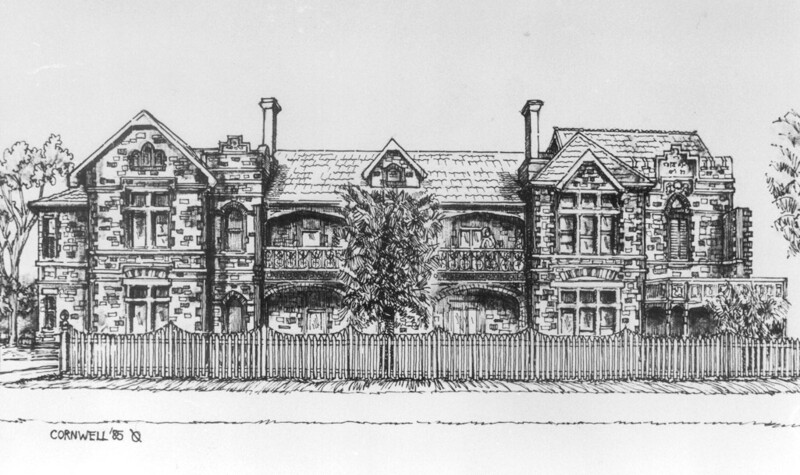 Gordon, believed that the proposed hospital should be built as a wing of the Children’s. Lady Tennyson was strongly opposed to this idea and, in the end her wishes prevailed. The Queen’s Home was constructed on a site at Rose Park, opposite the Victoria Park Racecourse. The South Australian Company donated land in Rose Park and grants of £2550 were made to enable the building of the private maternity hospital. Intitially known as The Queen’s Home the hospital was officially opened on Queen Victoria’s 83rd birthday, the 24 May 1902, before 500 invited guests and another 1000 people who paid sixpence each for admission. The foundation stone was laid by the Duke of Cornwall (later King George V) on 13 July 1901 in almost perfect weather. The four wards, which could each hold four beds, were named Victoria, Lady Tennyson, Princess May and Alexandra. The southern wing was added in 1927. Unmarried women were first admitted in 1917 in separate cottage but by 1918 were beubg cared for in the main building. Three years later antenatal clinics began in the Queen’s Home. The first medical registrar and resident medical officer were appointed in 1923. The Queen’s Hospital was renamed the Queen Victoria Maternity Hospital in 1939 and was declared a public hospital seven years later under the provisions of the Hospital Benefits Act (1946). The name was change again, in May 1966, to the Queen Victoria Hospital. Other milestons include the installation of the first humidcribs in South Australia in 1952, the extension of services to include gynaecology in 1970 and the establishment of the State’s first Neonatal Intensive Care Unit in 1975. Almost a quarter of a million South Australian began life at this hospital. On 15 March 1989, the Queen Victoria Hospital amalgamated with the Adelaide Children’s Hospital to become the Adelaide Medical Centre of Women and Children. The hospital at Rose Park closed in 1995. Initially known as the Adelaide Medical Centre for Women & Children, the hospital was formed through the amalgamation of the Queen Victoria Hospital and the Adelaide Children’s Hospital in March 1989. The new (in name) hospital occupies the site of the former Children’s Hospital on King William Road, North Adelaide, South Australia. In practical terms the rebirth of the two hospitals was completed 8 May 1995 when the Women’s & Babies Division, housed in the new Queen Victoria Building at the North Adelaide site opened for business. Over 150 patients, including very premature bbis, were carefully transported by ambulance and taxi to the new facility. About 9.50am the same day little Ashlee Cossens made history becoming the first baby born in the new facility. Ashlee’s birth was all the more significant because heart problems were detected and she required surgery – carried out without the need for transport to another facility. The WCH was the first Australian hospital specialising in health services for women, children and young people. The location of services in one complex enables continuity of care for babis and young children from conception to late adolescence. The Hospital also provides extended women’s health care services. It is one of the major hospitals in Adelaide and is a teaching hospital of the University of Adelaide, the University of South Australia and Flinders University. Currently some 19,000 children are admited to the Women & Children’s Hospital annually, not counting the 5000 children also born there each year. South Australia was off to a shaky start in providing health care with the only resource at the commencement of settlement being a Doctor. Thanks to the dedication of many gradually things improved. In the early days other institutions were also created, such as the Destitute Asylum, the Lunatic Asylum, the German Hospital etc. My intention is to investigate, some time in the not too distant future, how these institutions contributed to the health care of our courageous early pioneers and settlers. This entry was posted in History, Immigration and tagged Colony of South Australia, Family History, Genealogy, Hospitals, Immigration by Catherine. Bookmark the permalink.